Slide into your shots like a clay-court champion. 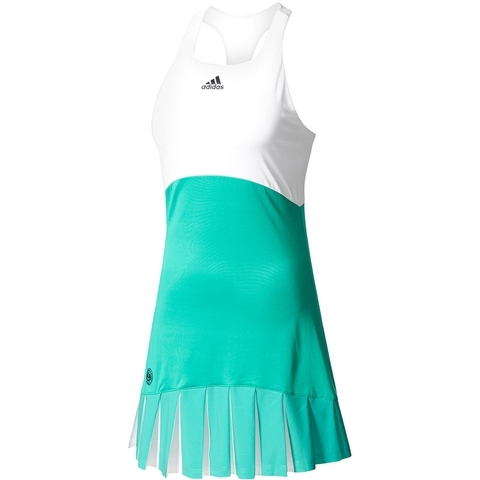 This womens tennis dress keeps you cool and dry as you chase down every point. Slim-fit and built for a full range of motion, it comes with a bra and short tights for extra coverage. Its made of stretchy, recycled jersey fabric using recycled polyester with a Roland Garros badge sitting above the right hem. 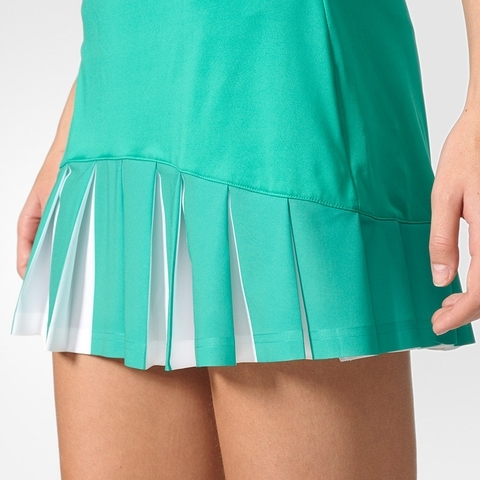 A dress, bra and tights built for centre court, ventilated climacool® keeps you cool and dry, flat neckline, Bi-tonal ruching along hem, integrated bra with removable pads for perfect fit across all cup sizes; Integrated short tights.